The recipient of a 2006 MacArthur Foundation Fellowship (“Genius” Award), George Saunders is the author of a novel, four collections of short stories, a novella, a book of essays, and an award-winning children’s book. His long-awaited novel and most recent book, Lincoln in the Bardo, was published in 2017 and was awarded the Man Booker Prize that same year. His collection, Tenth of December (Random House, 2013), was a finalist for the National Book Award, and winner of the 2014 Story Prize for short fiction and the 2014 Folio Prize, which celebrates the best fiction of our time. Tenth of December was also named one of the ten best books of the year by The New York Times Book Review, and the collection, and Saunders’ work was highlighted in a New York Times Magazine cover story. Saunders’s fiction often focuses on the absurdity of consumerism, corporate culture, and the role of mass media. While many reviewers mention his writing’s satirical tone, his work also raises moral and philosophical questions. The tragicomic element in his writing has earned Saunders comparisons to Kurt Vonnegut, whose work has inspired him. His other collections include the bestselling Pastoralia, CivilWarLand in Bad Decline, a Finalist for the PEN/Hemingway Award, and In Persuasion Nation, one of three finalists for the 2006 Story Prize for best short story collection of the year. Pastoralia, CivilWarLand in Bad Decline, and Tenth of December were all New York Times Notable Books. Saunders is also the author of the novella-length illustrated fable, The Brief and Frightening Reign of Phil, and the New York Times bestselling children’s book, The Very Persistent Gappers of Frip, which has won major children’s literature prizes in Italy and the Netherlands. Congratulations, by the Way (Random House, 2014) is a book containing the funny yet uplifting graduation speech Saunders gave at Syracuse University, which went viral shortly after its delivery. Saunders’ book of essays, The Braindead Megaphone (2007), received critical acclaim and landed him spots on The Charlie Rose Show, Late Night with David Letterman, and The Colbert Report. His work appears regularly in The New Yorker, GQ, and Harpers Magazine, and has appeared in the O’Henry, Best American Short Story, Best Non-Required Reading, and Best American Travel Writing anthologies. In 2001, Saunders was selected by Entertainment Weekly as one of the one hundred top most creative people in entertainment, and by The New Yorker in 2002 and one of the best writers 40 and under. In 2006, he was awarded both a MacArthur Fellowship, for “bringing to contemporary American fiction a sense of humor, pathos, and literary style all his own,” and a Guggenheim Fellowship. In 2013 TIME Magazine listed Saunders on its list of 100 Most Influential People in the World. He teaches in the MFA Creative Writing Program at Syracuse University. 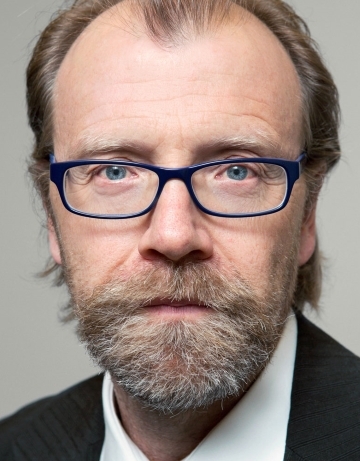 For availability and speaker fees, please contact George Saunders’s speaking agent at Chartwell here, or call +1 972 385 1021 for U.S. inquiries or +44 207 293 0864 for international inquiries.